I am a bookseller. But I am also a publisher. My publishing company is called Timeline Books. I have published one book so far. Yes, ONE. It is London Tales by Greg Stekelman. It is awesome and if you haven't bought it by now and you have £40, then I suggest you do. There are only 250 in the whole world and tests prove that by buying a copy your life will improve on average by 3.2%*. When I set up Timeline Books, I thought to myself that i'd probably publish just the one book. But having enjoyed the whole experience so very very much, my taste for publishing more has grown. And this is why I am delighted to announce that I am going to be publishing Timeline Books second book. It's going to be a collection of the finest short stories by Joseph D'Lacey. Joseph is awesome and I cannot tell you how excited I am to be publishing this. Let me tell you a bit about Mr D'Lacey. Stephen King is a massive fan and has said that 'Joseph D'Lacey Rocks'. I have spent the last 2 months reading his short stories and I feel like I am the luckiest person alive. They are brilliant. This is what Joseph looks like, should you want to say hello to him if you meet him. Joseph would probably be filed under Horror in bookshops. If there was a more specific sub genre, it would be Eco Horror. But the scope of his writing means that I am reluctant to place him in one particular genre. His stories put me in mind of Roald Dahl's Tales of the Unexpected, but with an even darker, more sinister (and sometimes hilarious) conclusion. What I love about his writing is that I never know quite what to expect. His latest book, Snake Eyes, published in the USA, contains two novellas. Each one takes you on a journey that has layer after layer of storyline. It takes you further and further into his crazy and imaginative mind. You don't know what's going to happen, but when it does happen...BOOM!! The book will be published on September 27th 2012. This coincides with the publication of a book by JK Rowling, which one or two of you might know about. We thought it would be good for her to have a bit of competition. There will be a Limited Edition of just 500 copies. Each one will be signed and numbered. There will be a competition to design the cover of the book. This will be launched in May at the same time as the title of the book is announced. There are more things, but this is quite enough excitement for one blogpost. This is going to be something very special. If you know anyone who you think would want of copy of this (who wouldn't to be honest), please let them know. *I made this up, but you should still buy a copy. Late last year I was doing my usual check on our American book suppliers website for copies of Mark Leyner's books. I like to keep them in stock, because I think they're pure literary gold. As usual they had one or two copies of My Cousin My Gastroenterologist (his first novel) & a copy of the Tetherballs of Bougainville. Mark Leyner wrote these books back in the 90s along with a couple of other novels, but then stopped writing fiction. I never suspected to see what I saw that day. Because on the American suppliers website, in front of my very eyes, was a NEW TITLE by Mark, due to be published at the end of March 2012. I stared at for a few moments, trying to take this information in. 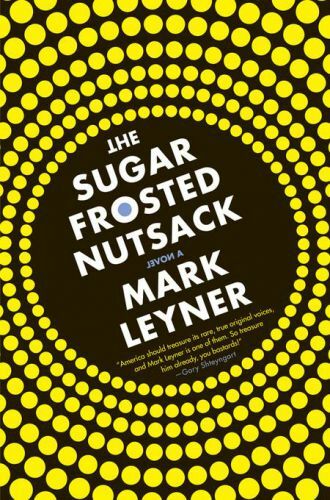 Mark Leyner had written a new novel after a gap of well over a decade. This made me do a small dance. Yes, I danced in the Bookshop at the thought of reading a NEW Mark Leyner book. It was called The Sugar Frosted Nutsack (why the hell not) and I had to wait 5 months before I could get my hands on it. So fast forward to March 2012. A parcel arrives from our US book suppliers. I open it. It was like that scene from Pulp Fiction when John Travolta opens the briefcase, or when Charlie Bucket unwraps his Whipple-Scrumptious Fudgemallow Delight. Because inside the box we're copies of the book I had been waiting to read for 5 months. More dancing ensued. OK, so now I've read the book. Did I enjoy it? Did it live up to my expectations (they were very high)? Has Mark Leyner still got the jazz? Reading a book by Mark Leyner is an experience. It is inspiring, exhausting, hilarious, dangerous, explosive, filthy, unpredictable and magical. The Sugar Frosted Nutsack storyline, if there is one, centres around Ike Karton, a plaything of the Gods. There are a lot of Gods in the book. They include El Burbuja, the God of Bubbles, El Brazo, the God of Urology and El Cucho, God of Concussions, Alcoholic Blackouts, Brainwashing & Amnesia amongst other things. El Cucho is also known as XOXO and figures heavily in the book. These Gods look down from the tallest building on the planet and observe Ike on his stoop, going to a diner, flirting with a waitress, talking to his daughters drug dealing boyfriend and ultimately getting shot. There, that's the story. That's it. But it isn't about the story, it's about how Mark Leyner plays with it. 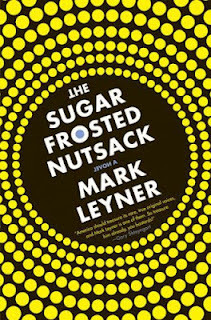 The book is also about 'The Sugar Frosted Nutsack', an epic book within the book that we are reading, which, when performed (usually by drug-addled blind bards), any variation to the original telling then becomes the official story, which must consequently be performed with those variations. Having been performed thousands (if not millions) of times, the original story and the one that is now performed are completely different. And discussion rages throughout the book about what was the original story and what has been added. With XOXO mischievously mixing things up and changing the story throughout, it is impossible to know what the real story is. Or are the Gods all figments of Ike's imagination? Is he a deluded madman who believes that fate had put him on earth simply for the purpose of the story? Everything in the book has been carefully considered. I have no idea where in the book the author started writing. It's almost as though he wrote one sentence and then wrapped that sentence with two more, and on, and on until he had produced a ball of words, which the reader can then slowly unwrap. There are countless repeated passages throughout, which, far from being annoying (unless Leyner does it to be annoying, which he does on purpose at times), hypnotise and take you off on a totally new direction. He playfully experiments with sentence structure, grammar, font, and language throughout and it is certainly not a book I could read quickly. It did my brain in. It poked it and stroked it in a most enjoyable way. I don't think I can do this book the justice it deserves. Mark Leyner is a genius and I will happily admit that some parts of the book overwhelmed me, such was the surreal ferocity of it. But even when this happened, I let the book take me along on its insane journey, safe in the knowledge that I had no idea what to expect. If you want to read some more by Mark Leyner, I would suggest, My Cousin My Gastroenterologist. 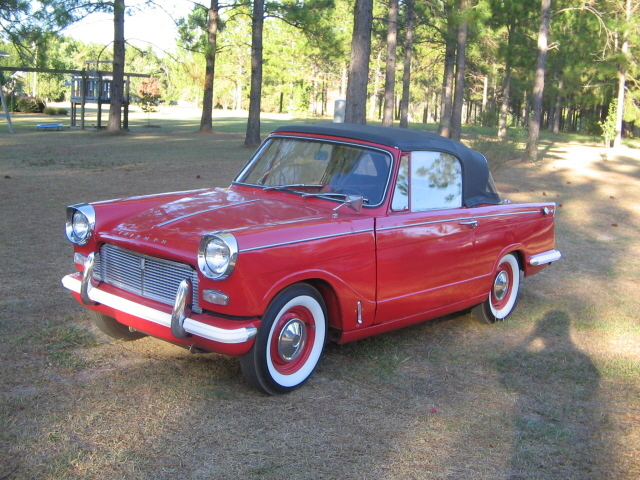 I adored The Sugar Frosted Nutsack and my tired brain has just enough strength left to stand and applaud this freakishly talented author before jumping into this 1966 Triumph Herald convertible and riding off into the sunset. Of course, I haven't changed a bit. But bookselling has quite considerably. In 1984 and just about to celebrate my 6th (alright 16th) Birthday, I left school with 3 O Levels. O levels are today's equivalent of degrees, so I was clearly a genius. However, my school required that I achieve 5 O Levels to be allowed to stay on to the sixth form and turfed me out. To say I didn't care was an understatement. 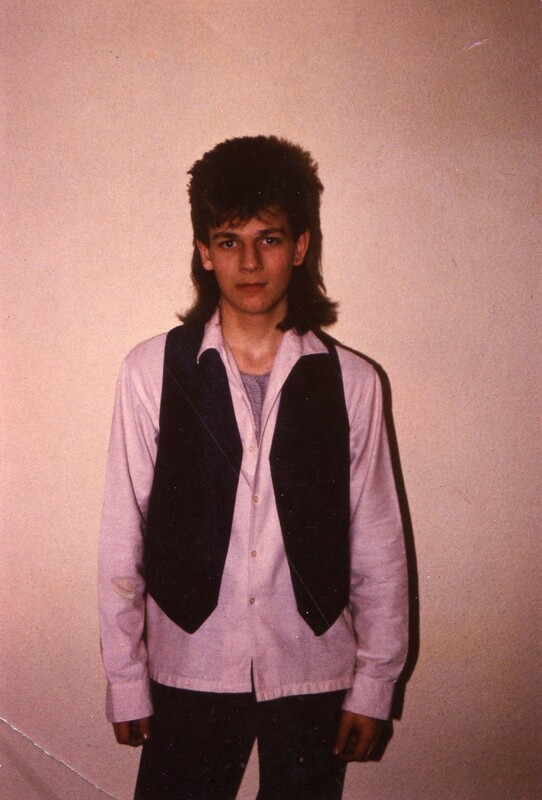 I was a moody teenager, who didn't really care about very much at all. Thankfully, I had parents who did, and with their 'encouragement' I enrolled onto a Youth Training Scheme (YTS). I chose to be trained in retail and was given the option of working in one of two shops. One was a camera shop and the other was George's Bookshop in Bristol. Luckily I lived in Bristol at the time and so I chose the bookshop. The scheme worked like this. I would be paid £25 a week and for that I would spend 3 days at college learning about retail and 2 days at George's as a sales assistant. College was a massive eye opener. Having been to a relatively good school and just being a lazy sod, I wasn't aware that there were 16 year olds who didn't actually know what 6+5 was, or how many days in a week there were. But there I was in a classroom, a naive 16 year old, with people the same age as me who education had forgot. That lesson was the only thing that the college taught me, but it has stuck with me to this day. The 2 days I spent at the bookshop, however, were incredible. George's Bookshop was owned by Blackwell's and had been proudly selling books in Bristol since 1871. It was located on Park Street and occupied 6 different locations on the street. 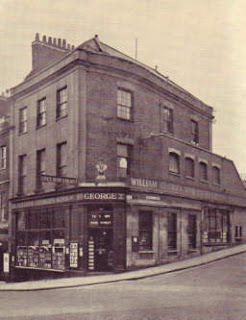 Yes, that's right, there were 6 George's Bookshops on one street! One sold 2nd Hand, one sold Academic books, two had Art books, one was a Computer bookshop (actually this opened after I started there, but hey) and there was the glorious main bookshop at number 91. This was at the very top of the street and it was massive. This is what it looked like in 1936 (a couple of years before I started). This building not only held 4 floors of books, but also the unpacking department, the accounts department, the admin offices and it was also where the office of John May was. 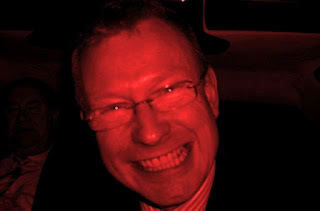 John was the managing director, who was both terrifying, creepy and lovely all at the same time. My first role in the shop was working in the section selling maps, foreign languages and travel (a heady mixture). My first manager was Gertrude Scanlon, who was a formidable lady in her 50's, who took me under her wing like a friendly albatross. 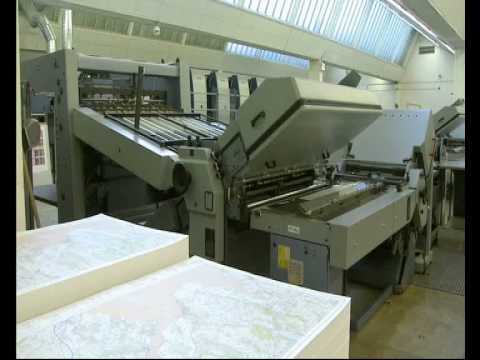 This machine took up about size of a snooker table, without the pockets, and people could come in and ask us to print off specific maps that they needed. The machine could do all scales and was very popular indeed. Being a trainee, I wasn't allowed anywhere near this machine and busied myself (when shouted at) with tidying shelves and checking what books we had. There wasn't a computerised stock control system in 1984. Are you mad? No, we had stock cards. 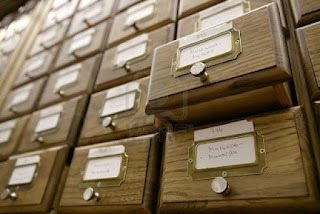 Files and files of them. Each card had the information about a book on, (Title, Author, ISBN, Publisher, Date arrived, etc), which was all handwritten by us, and it was our job to regularly go through all of these cards, checking how many copies were there. There were drawers and drawers of these cards and this was something that took up a large part of the working day. If something had sold we would mark the date on the card and the number of copies we thought we should order. The card would then be stuck upwards and replaced in the files, for Gertrude to check. Should she deem that the book should be reordered the files would then be taken down to the basement, where a man in a suit sat, in the dark typing ISBN's and order quantities into what looked like a typewriter. This was in fact the cutting edge of book ordering systems and enabled books, once ordered, to be delivered to the bookshop within two weeks (sometimes as little as TEN DAYS). It's odd to think that nowadays, people's expectations are so high, that having to wait more than a couple of days for something seems almost unheard of. In the 1980's people were very impressed by the idea that we could get a book for them within a fortnight. So my first months at the bookshop were great. I was still a bit naughty, and would take the occasional sickie, but they seemed to put up with me. In order to earn a bit more cash I would work Saturdays as well and my pay packet would be bulging with £37.50 a week. We got paid weekly and we did actually get a pay packet, with cash in and everything. It was great. After 2 months of college I had had enough of it. I wasn't learning anything, and the teachers knew this. I stopped going and took my first grown up decision of my life. I asked for a full time job at George's. I explained to Gertrude the situation and she spoke to her manager. 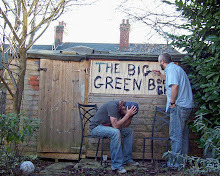 Staggeringly they said yes and in November 2004 I started full time employment at the bookshop. I was now earning £42.00 and life was good. Oh yes, and I had to wear a tie.